And The Poison Apple Goes To... Lily Collins! That would be Lily Collins, at least according to Relativity Media. They have cast Collins as Snow White in the upcoming "The Brother's Grimm: Snow White," HitFix.com has confirmed. 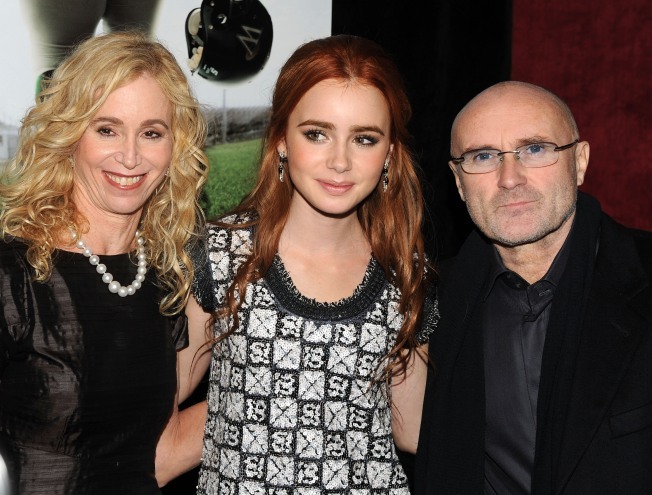 It is a huge role for Collins, who is best known as Sandra Bullock's daughter in "The Blind Side" and also happens to be the daughter of rocker Phil Collins. She will be starring alongside "The Social Network" actor-turned Prince Charming Armie Hammer, with Julia Roberts in the role of the murderous queen. In a twist, Universal is planning its own, somewhat darker take on the classic tale, also due out next year, starring Kristen Stewart in the title role. You can see the brunette beauty in the action thriller "Abduction" later this year with Stewart's "Twilight" costar - and Collins's rumored new boyfriend - Taylor Lautner.